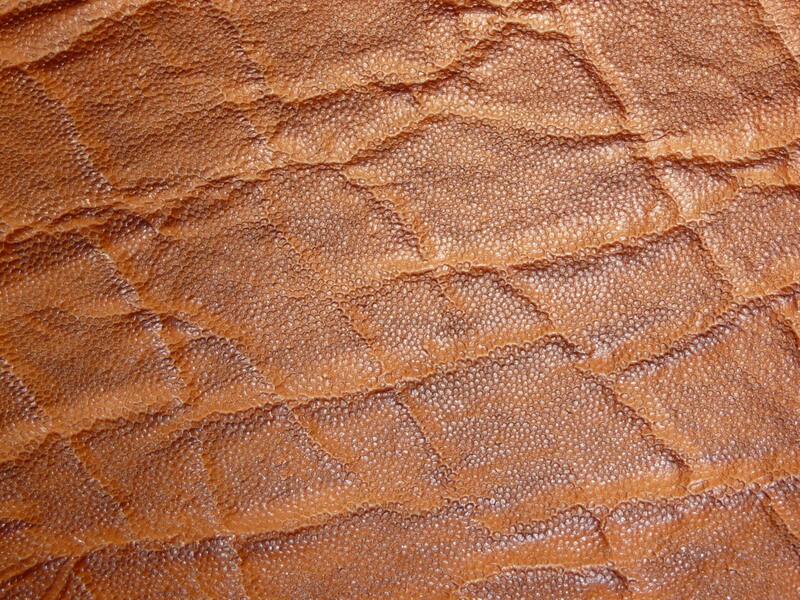 It is highly unusual leather. It has slight ridges like true elephant hide. The backside is a cream suede that may not be pretty. Some pieces might have a stamp or fleshings other marks on them.